In a windswept British seaside town, single mom Alice Lake finds a man sitting on the beach outside her house. He has no name, no jacket, and no idea how he got there. Against her better judgement, she invites him inside. Meanwhile, in a suburb of London, 21 year-old Lily Monrose has only been married for three weeks. When her new husband fails to come home from work one night she is left stranded in a new country where she knows no one. Then the police tell her that her husband never existed. 23 years earlier, Gray and Kirsty are teenagers on a summer holiday with their parents. Their annual trip to the quaint seaside town is passing by uneventfully, until an enigmatic young man starts paying extra attention to Kirsty. Something about him makes Gray uncomfortable - and it's not just that he's playing the role of protective older brother. 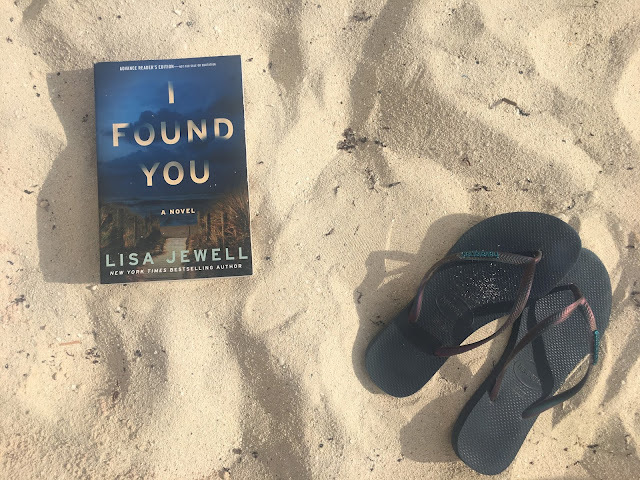 Two decades of secrets, a missing husband, and a man with no memory are at the heart of this brilliant new novel, filled with "beautiful writing, believable characters, pacey narrative, and dark secrets" (London Daily Mail) that make Lisa Jewell so beloved by audiences on both sides of the Atlantic. I'm not quite sure what I was expecting when I started reading this book, but I enjoyed it so much more than I thought I would. The suspense is slow-building (in a good way, not a slow-but-I-really-mean-boring way), and by the end, I could have easily stayed up late into the night finishing this one. I always love novels that have a few storylines that meet up near the end, and I Found You really winds the three plotlines together beautifully. The characters were each odd and quirky in their own way, but I cared for them. I really wanted "Frank" to regain his memory, and at the same time, I was also was terrified of finding out who he really was. Is it possible that he killed someone? Is Alice being too trusting by letting him stay at her home? And my heart broke for Lily, who was in a new country where she didn't know a soul, and then her loving husband completely vanished. And what does a tragedy from 20 years earlier have to do with anything? 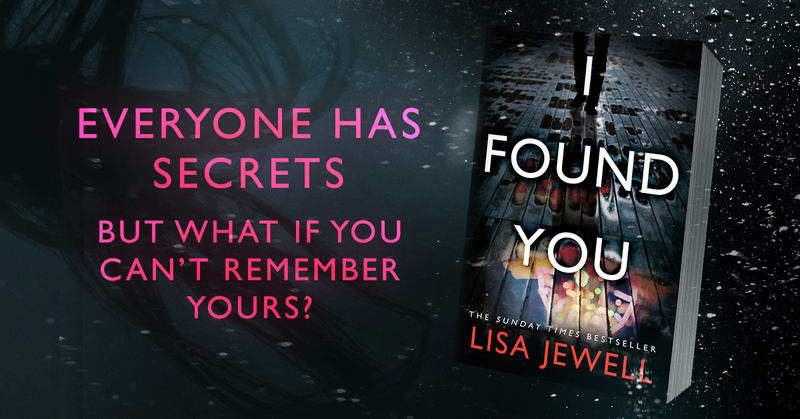 Fans of Paula Hawkins or Liane Moriarty will enjoy reading I Found You. It would be an excellent vacation read this summer for sure. And while this was my first Lisa Jewell novel, I already have The Girls in the Garden on my bookshelf and TBR pile! Enter below to win one of three print copies of I Found You. And you connect with Lisa Jewell on Twitter, Facebook, and her website. Disclaimer - I received a copy of I Found You courtesy of the publisher and TLC Book Tours. All thoughts and opinions are entirely my own. To hear what other bloggers had to say about this book, you can also check out the full book tour here.